Cons: Mediocre class balance, a few bugs remain after a year of retail... addictive! I always had a hard time justifying the need to pay fifteen or twenty dollars every month to play a game online. It seemed more logical to me to just purchase a brand new game every month or two, that way I would have a lot more games for the same amount of money I would be spending on one online game. I stuck to free online games, trying every one I could find, wondering what all the fuss was about. I did like the MMORPGs (Massively Multiplayer Online Role Playing Game) that I tried, but they were nothing overly spectacular. Eventually I found a little MMORPG called Tibia. I played Tibia for quite a few months, and eventually I sprung for a premium (paid) account to access new areas and kill new monsters. I liked being able to be online, chat and play with people from all around the world while playing my game. I made a few friends that I still game with to this day. Then Blizzard's WoW (World of Warcraft) comes out. Quite a few people are quitting Tibia, moving on to play WoW instead. They have nothing but praise for the game. A lot of my friends move on and start playing WoW also, but I refuse to spend such a large amount of money on one game. After all, it costs fifty bucks at the store, and then I still have to pay the fifteen bucks a month to continue playing. What if I don't like the game? It would be a terrible waste of fifty dollars! I only pay five bucks a month for Tibia; WoW can't be that much better... can it? Eventually my girlfriend bought the game for me. Open beta was over, WoW had been in retail release for a month or two now, and people still loved it. I was finally ready to fork over the green and give it a try, hopefully WoW will be good enough to be worth the money. At least the first month of play time is included I guess. I tell some of my friends in Tibia that I will try out World of Warcraft and see how I like it, but I'll also continue playing Tibia and keep in touch with them. I plug in the first WoW installation CD, and... eight months later I remember that Tibia exists. World of Warcraft is an expansive game, there is much to do and much to see. There is a lot of variety to be had, both in the characters you play and the worlds you play in. You can chose from two factions, eight races, nine classes; as well as complete thousands of quests and explore numerous dungeons. Blizzard managed to pull this off while sticking close to the lore of their traditional Warcraft strategy games. Also, take note that WoW does not include any type of single player/offline gameplay; you must be connected to the internet and to one of Blizzard's game servers to play the game at all. First thing is first, make sure you can use the game before you worry about getting it. The system requirements are a little heavy! 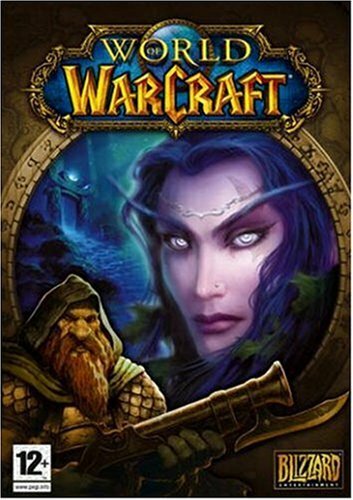 The minimum requirements are an 800 MHz processor, 512 MB of RAM, a 32 MB 3D graphics card with Hardware Transform and Lighting, DirectX 9.0c (which is included on the WoW CD), 6.0 GB of hard drive space, a 4x CD-ROM drive, and a 56k or better internet connection for Windows 2000/XP. Macintosh users get the short straw here, needing a 933 MHz processor instead (Mac OS X 10.3.9 or higher). With those settings, you could get away with playing the game on pretty low settings. Recommended specifications include a 1.5 GHz processor, 1024 MB (1 GB) of RAM, a 64 MB 3D graphics card with Hardware Transform and Lighting, and a broadband internet connection. When I first got the game, my computer was a 1.9 GHz Athlon XP, with 1024 MB of RAM and a 64 MB GeForce 4 MX 440 AGP graphics card. I was also connected with a 256k broadband connection. In areas of the game where there were a lot of people gathered in a small area, such as in a capital city, I would experience game lag and bad frame rates; only after I upgraded to an ATI Radeon 9550 with 256 MB of video memory did it stop. Yes, I know my computer's showing it's age, it will be replaced soon, but it certainly met the requirements! The front of the box folds out into a four panel display of dragons and yeti and mechanical shredders. If the box artwork is indicative of what I have to look forward to playing the game, boy were my eyes in for a treat! Inside the box was a Blizzard product catalog, four CDs containing the game, a 200+ page game manual, and a coupon for savings on a BFG Tech GeForce graphics card. Installing the game took a little while, prompting me for each CD and waiting. It is a big game, and there is a lot to install. Anyway, once you get the game installed, you get to chose a server to play on; Blizzard calls these Realms in World of Warcraft. There are four different types. Normal realms are primarily focused on killing monsters, or "mobs", rather than fighting other players. You can create horde and alliance characters both on normal realms, though they are unable to communicate with each other. The only way you can attack another player is if you are in the PvP (player vs player) battlegrounds (discussed later), enter an enemy capital city, or flag yourself for PvP by typing the /pvp command. You can tell that you are flagged for pvp by the little horde or alliance banner that will appear next to your character portrait in the top left corner of your screen. On the same token, you can tell an enemy player is flagged for pvp because his name (that hovers over his character) will be colored red. The second type of realm is a PvP realm. These realms are played just like normal realms at lower levels, but when you leave the lower level zones you can enter enemy territory or contested territory and be attacked without warning by players of the opposing faction. In contested territory players from both factions are free to attack each other at will, but in enemy territory you can not attack an enemy unless he flags himself for pvp by typing /pvp or attacking someone of your faction beforehand. There is no way to attack members of your own faction, aside from entering a special free-for-all battle arena, or choosing to duel another player for fun and to test your skills. You can chose to be either horde or alliance on a PvP realm, but not both on the same realm. If you want to play both factions, you'll have to create alliance characters on one realm and horde on another. The last two types of realms are RP (Role Playing) and RP-PvP realms. They correspond to the first two realms, except that you are expected to stay "in character" the whole time. These types of realms are for those who wish to develop a back story and/or a "real life" for their characters; and thus you should always act as though you are your character instead of yourself. Not really my cup of tea, but apparently many people like them! After you chose a realm, you can finally get to making that character! It's about time, I know! First pick whether you wish to play as a member of the horde faction, or a member of the alliance. Alliance tend to have the "prettier" races, and horde have the "uglier" races; though when the World of Warcraft: Burning Crusade expansion pack is released, horde will get the Blood Elf race. This is probably to give the horde one "pretty" race, as alliance tend to outnumber horde on many realms and Blizzard wishes to maintain game balance as well as possible. Currently horde players can choose to be a Troll, Orc, Tauren (a cow person!) or Undead characters. Alliance can be Human, Gnome, Dwarf or Night Elf. Each race has specific racial traits unique to them. Some are triggered abilities such as the Night Elf's ability to "Shadowmeld", which turns them invisible when activated and immobile out of combat, or the Undead's "Will of the Forsaken" ability which gets them out of fear and charm effects once every few minutes. Other racial traits may be passive, such as Human characters having a 5% bonus to their Spirit stat, and Orcs being more resistant to stuns. After you've chosen a faction and a race, you get to pick your character's class. There are nine classes in total: Warrior, Rogue, Mage, Warlock, Priest, Druid, Paladin, Shaman and Hunter. Seven of the nine classes are available regardless of which faction you play, while the Shaman class is limited to horde players and Paladins are limited to alliance players. Not all classes are available to every race; for example Taurens can not pick a rogue as their class, and a Gnome can not chose to be a priest. Each class has additional class traits unique to them as well, and they are all displayed in a little box on the character selection screen. Some class traits go really well with certain racial traits as well, so read through them well before deciding one way or the other! Your character can be male or female, and there are lots of ways to customize the look of your character. You can pick from a variety of different faces, hair styles and colors, some races have facial features or jewelry to choose from. Rogues are stealthy assassin characters, warriors are the "meat shield" tanking characters, mages blast away from range with fire, ice, and arcane magics. Warlocks are similar to a mage, though they use shadow and fire magics... they also can enslave demon pets! Priests naturally are awesome healers, but they can also choose to melt faces with their incredible shadow powers. A hunter blasts away at range with a bow or a gun, and also can tame wild beasts to fight with them. Paladins shaman and druids are hybrid classes, and can fill the roles of multiple classes - though not all at once! Druids use shapeshifting to fill different rolls. They can turn into a bear or a cat or even a seal! After you finally get your character chosen, you are ready to take your first steps into the immense game world. Where you start out depends on what race you chose to play. Regardless of the exact location, you will start in a small town with only a few NPCs (non-playable characters). Some of these computer controlled characters will buy and sell items, teach you skills, or give you quests. If you click on one, you can see what exactly it does; for example if it says "Cloth Armor Merchant" under his name then you know he sells cloth armor, or if it says "Druid Trainer" then you know he is the man when it comes to teaching you new skills if you are a druid. The NPCs that give out quests are easy to spot however; carrying on in true Warcraft style these quest givers will have a yellow exclamation mark over their heads so that you can easily find them. If you talk to one, he will give you a quest to complete, and may reward you with experience points, money, and/or items when you finish his quest. Some quests will be easy delivery quests, like bringing a letter from one NPC to another. Other quests will involve killing a certain number of monsters, or maybe collecting items from monsters. You have a nifty quest log on your action bar at the bottom of the screen that keeps track of up to 20 different quests at once, and how far you are towards completing them. Some later quests will be marked in the log with (PvP), (Elite), (Dungeon) or (Raid). These quests are more involved than normal quests. Elite quests involve killing elite monsters, which have more strength and more hitpoints than normal monsters, so you should normally complete these with other players instead of alone. Dungeon quests involve entering a dungeon to complete the objective, and Raid quests should only be attempted with a big group of people (between 10 and 40 people)! PvP quests usually involve the PvP battlegrounds, and you will surely battle your share of enemy players in the process of completing them. It's easy to find the NPC once you've completed a quest and are ready to turn it in, as the exclamation mark over their head will have turned into a question mark instead. Leveling up in World of Warcraft is fairly fast compared to a lot of other MMORPGs. I personally have two characters at the level cap (currently level 60); a human paladin and a gnome mage. I also have a level 55 tauren druid because I wanted to try out both factions extensively before I compiled my review on the game. I also have a multitude of other characters between level 15 and 40, because I wanted to try out every possible class as well. I'm fairly pleased with the variety, detail, and story put into each class, each race, and both factions of the game. Through talking with NPCs, reading books, and completing quests along your journey to level 60, you will learn a lot of story, and it's very interesting! You get experience for killing any enemy that is the same or higher level than you, as well as for those a few levels lower. You can tell what level an enemy is by targeting it, and looking at it's picture in the frame beside your character's picture in the top left of the screen. The level is right under the enemy picture. The level will be in red if the enemy is a lot higher than you, yellow if it's around your level, green if it's a few levels lower, or gray if it is much lower. An enemy who's level is green will give a lesser amount of experience, and one in gray will give you none - though it will still drop items or money. You get no experience for killing enemy players, though you do get honor points. Honor points are given for killing enemy players and participating in PvP battlegrounds. PvP battlegrounds are special dungeons involving killing players of the opposing faction, and each battleground has specific goals that must be accomplished for your team to win. Currently there is a "capture the flag" battleground called Warsong Gulch, a "control the resource nodes" battleground called Arathi Basin, and a "kill the enemy general" battleground called Alterac Valley. Besides the honor you get for killing players, you also get bonus honor points for completing objectives in the battlegrounds, as well as more bonus honor for winning the battleground. You also get reputation with the battlegrounds. As your reputation climes from neutral to friendly, honored, revered, or exalted you can purchase better items from the NPC vendor for that battleground. Each battleground has separate and different rewards that can be purchased when you reach the right reputation levels. You also earn reputation with the various races and other towns and groups, and when you reach high enough reputation with those places you can often get additional quests from the NPCs associated with them. The honor system and reputation system and everything else you can think of is explained brilliantly on Blizzard's World of Warcraft website at http://www.worldofwarcraft.com/. Dungeons in World of Warcraft are "instance" dungeons. This means once you enter the dungeon, nobody else can come in along with you unless they are in your party or raid group. This makes the dungeon more fun in my opinion, as you will get to experience the content entirely, rather than just walking through a dungeon behind another group that just killed all the enemies in your way. It also means you won't fight your way through a dungeon, just to find another group already killing the boss and you just wasted all that time fighting your way in! There is a built in chat interface, that is fully customizable (like most everything else in the game!) through the menu's that appear when you press the [Esc] button or click on the icons on your action bar. There are default channels for general chat, trading, looking for groups, etc. You can also join a guild with other players, this usually gives you people to play with and talk to - and is a lot easier than searching for random people every time. While you can do so many things in World of Warcraft alone, it rather defeats the purpose of playing an online game in my opinion. You can also use "emotes" to interact with people, or (like me) for personal amusement. If you target another player and type "/kiss" for example, then "YourName blows a kiss to OtherPlayer". You can do some funny things such as pick your nose, or you can be rude and spit or fart on people! You can also chose various professions for your character. You can have two primary professions, which include blacksmithing, mining, engineering, herbalism, alchemy, tailoring, enchanting, leatherworking, or skinning. Some professions work well together, such as skinning leather from enemies and then crafting items with your leatherworking skill - or mining minerals and then using your blacksmithing to forge weapons and heavy armor with it. You can also choose to learn secondary professions... there are only three of them, but you can learn them all. These include fishing, first aid, and cooking. There are many quests to do and professions to work with, but you can also just grind away killing enemies over and over. This gets kind of boring to me, so I try not to do it any more than I have to. Usually if the quests I have left are a little too hard or I don't feel like doing them, or if I'm running low on money. Monsters drop money, random garbage that you can sell to NPCs; sometimes they drop items used in various professions for crafting things, and other items. Sometimes you get lucky and they drop a rare item or epic item, that you can either equip to upgrade yourself or sell to another player or on the auction hall to make money. One good thing Blizzard did in World of Warcraft was to implement "soulbound" items. When an item is "soulbound" then it is bound to one specific character, so it can not be traded or sold to anyone else (except sold to an NPC vendor). Some items bind to you when you equip them, while other items may bind to whatever player picks them up instead. This helps the economy by limiting the "hand-me-down" items, and reselling items after you've found something better to replace it with. When I played Tibia, the economy was terrible... I was glad to see this feature in WoW. Your character learns tons of skills or spells to fight monsters with, you don't just walk up and boringly auto attack them and wait for you to die. Mages can run around and blast huge fireballs or icebolts at enemies, hunters can send in their pets to attack while they shoot monsters with their ranged weapons. Rogues can stealth invisible, sneak up behind an enemy and stun it while they stab it in the back with a dagger. Even the warrior, who is the main tanking class, can equip a big mean two handed beast of a weapon and use highly damaging skills to dispatch of the enemy quickly, slow it down, or make it run away in terror! Starting at level 10, your character earns one talent point for each level he gains. That means by the time you hit the level 60 cap, you will have 51 talent points. Each class has three seperate talent trees, and each tree has a bunch of different talents in it that enhance and customize your character. Mages have a fire tree, an ice tree, and an arcane tree. Priests have a holy tree, a shadow tree, and a discipline tree. Each class is different, and has a lot of unique talents to chose from. Most of the time if you take two characters of the same class who have their talent points in different trees (ie; their "talent specs" are different) they will be played completely different. A hunter spec'd in the marksmanship tree will do a lot more damage with his ranged weapon and rely less on his tamed pet, while a hunter spec'd into beast mastery will rely on his pet to do more damage but his shots will be less powerful. But eventually it happens; you die. When you die in World of Warcraft, you don't drop your gear all over the ground. You don't lose experience points or money. You don't "respawn" in a temple somewhere. Instead, you appear at the nearest graveyard... as a ghost! You can't do much as a ghost though, except run back to the place you died (which is indicated with an arrow on your mini-map in the top right of your screen) and resurrect yourself. If you die too many times in a short time period, sometimes you will get a resurrection timer - in which case you must wait for the timer to expire before you can resurrect. You can't be harmed at all while you are a ghost, in fact you can't even see enemies or players on the map around you until you get really close to your body. Any items you have equipped lose durability when you die. When an item loses all it's durability, it becomes broken - and while a broken item does not disappear, it becomes totally useless until you pay to have it repaired. Alternatively you can speak to the spirit healer at any graveyard (you can only see the spirit healer while you are a ghost) and it will bring you back to life. This is not the preferred way to reanimate yourself though, as after level 10 your equipped items as well as any items you are carrying in your bags suffer a lot of durability loss, and all your stats are reduced by 75% for 10 minutes. This renders you a bit useless for the duration of the "resurrection sickness". The world itself is beautiful. The World of Warcraft is an amazingly rendered 3D masterpiece, with wonderful graphics and textures all around. Even with all the graphic settings at their lowest, it's still beautiful. The variety in the world is tremendous as well, from raging rivers and waterfalls, to peaceful lakes and streams. Gigantic cliffs and mountains, lava covered volcanos and dense jungles, to rolling plains, deep valleys and vast oceans. Beautiful forests and jungles, steamy hot springs, and icy snow covered lands... You can travel across oceans on boats or flying zeppelins, or fly around the continent on magical gryphons! You can even ride around on horses, wolves, raptors, rams, tigers and other mounts. There's a new treat around every corner, over every hill and across every river. You can adjust the camera view to suit your play style, zooming it in to a first person view, out to a distant third person view, or anywhere in between. You can rotate it 360? in a big sphere around your character, and position it anywhere you like by dragging the mouse across the screen. The video options can make the already beautiful world look even better. You can set the terrain texture, the texture detail, and even enable anisotropic filtering to sharpen the textures up. Trilinear filtering will enable high quality filtering of texture maps. If your video card supports pixel shading, you can even enable vertex animation shaders, smooth shading, terrain highlights, full screen glow effects, and other wonderful touches. With the video settings all set at their highest, the graphics in World of Warcraft are a sight to behold. The sound effects are equally good, still having not annoyed me after months on end of playing a few hours almost every day. The various emotes you can do such as /kiss or /flex also have sound effects associated with them; some of them such as /joke even have voice acting... and the voice acting is done pretty good. I like the "sound at character" option for my sounds as well, this makes the sounds appear as if they were heard from your character's position rather than the camera's. Most emotes have your character physically perform whatever action is emoted as well... you will often see low level characters strip off all of their equipment and /dance around in capital cities. What possesses them to do so is beyond me though! As much as I absolutely love the game, it is not without it's problems though. There are some bugs with skills and spells that have been around since the open beta testing period. On rare occasions your character may fall through the world into the nothingness under the ground texture and die. Mages get a spell called blink that teleports them 20 yards forward, many times that skill will teleport you absolutely nowhere instead. After over a year of retail, classes still aren't as balanced as they should be either. More and more dungeons are added, and melee classes keep getting better and better weapons, and spell damage just don't scale up enough to keep up. They are working on it, by adding new mechanics to the game such as spell penetration, but they have a long ways to go. Blizzard seems a little slow at fixing problems. Most of the time if I notice something is buggy or not working right, I submit a ticket through the in-game support thing, and a game master may reply to me 10 hours later... and then it's usually a canned auto response that says "we are aware of the issue and working hard to resolve it". Blah blah blah. Six months later it's still not fixed. Sometimes it feels like they don't really care if their game is buggy or their customers are happy... and they probably aren't too concerned with it, as they are making millions and millions of dollars anyway. Overall, I can't complain. World of Warcraft is a complex and wonderful game, and maintaining such a game requires a lot of work by a lot of people. It involves constant work, updating things and adding new features; and not everything can be done at once. Personally though, I'd take a few less features if it meant having a little more class balance and a few less bugs.